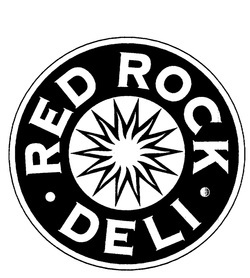 This is the company statement that appears on the Red Rock Deli website. 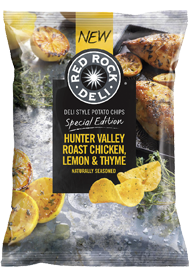 “In 2002 a group of passionate people got together to create a range of truly gourmet Potato Chips. 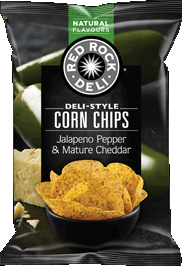 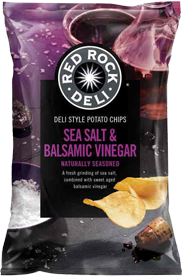 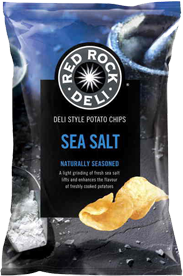 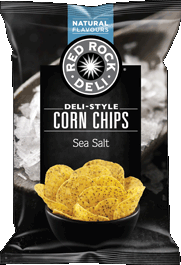 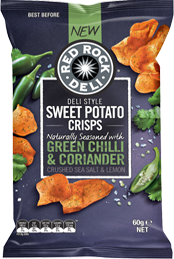 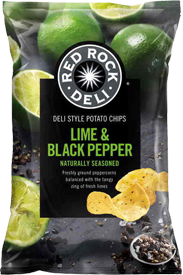 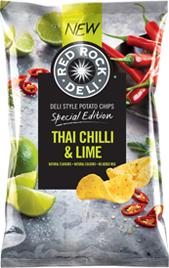 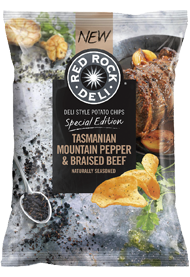 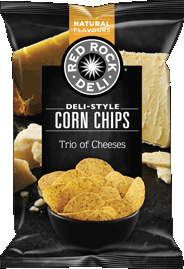 Taking inspiration from the deli, we worked alongside master chefs to create Red Rock Deli Potato Chips. 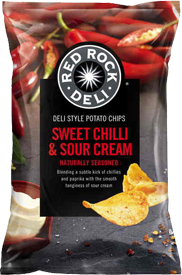 “In 2011, we expanded the range to include Deli inspired Dips and Gourmet crackers using the finest quality ingredients and imaginative flavour combinations. 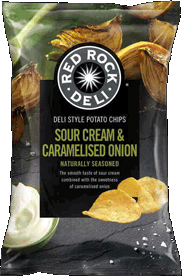 “Our philosophy is about bringing premium quality, authentic, Deli inspired snacks to all food lovers. 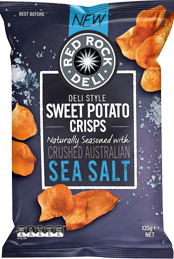 “We source only the best quality potatoes direct from Australian farmers – who are just as passionate about making Chips as we are. 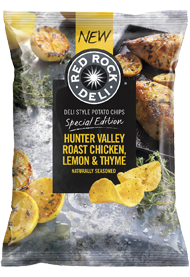 “We wash, we peel and slice our spuds before slow cooking in 100% sunflower oil. 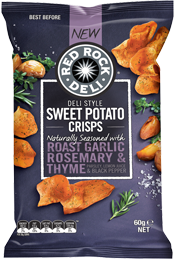 What the statement, nor in fact any publicity or marketing information in the public domain reveal, is that the range is another Pepsi-Co range under the Smith’s Snackfood Company banner. 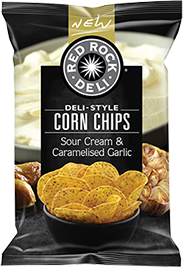 This is because of the national pride aspect of company branding and marketing and that their main rival, Snack brands (Thins, CC’s etc. 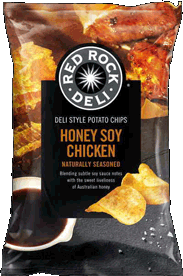 ), are still Australian owned. 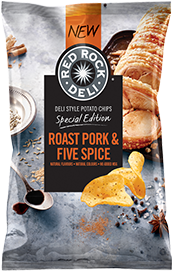 None of this however relates to the quality of the Potato Chips on offer, which is up to all of us Potato Chips and Crisps consumers to judge.